Check out what's new in the last FlexQube newsletter. Subscribe to our newsletter to be up to date with the FlexQube world of material handling! The modularity combined with great tracking properties and other cart features like tow bar and handle bar, plus a prooven history of high performing carts at the customer, generates an order for very large tugger carts from a major manufacturer of heavy trucks in Europe. The carts are the longest FlexQube ever designed and delivered. The customer has ordered three different sizes to move material between a warehouse and the production line. The carts will be used both outside and inside. 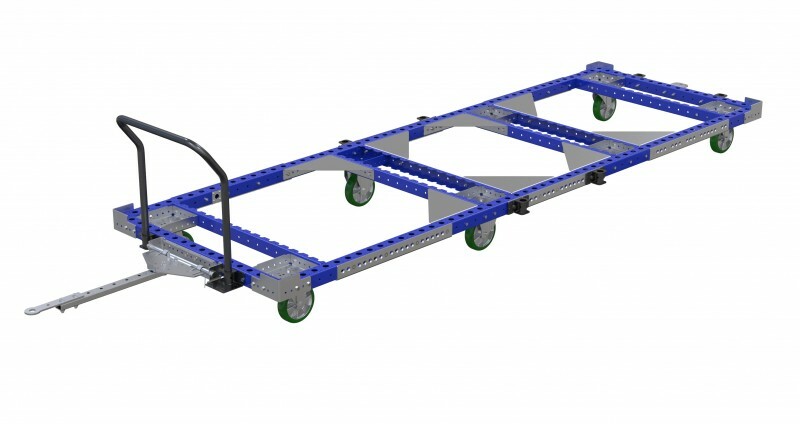 FlexQube Inc. has received an order for a two-pieced transport cart for very long racks from a new customer in Canada. 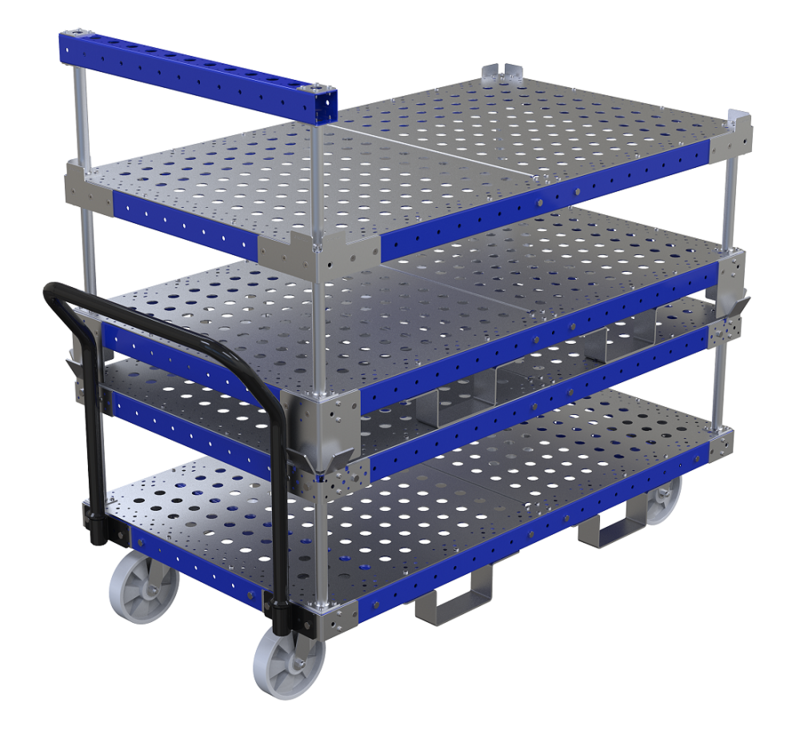 The order consists of two different carts that together will hold a large rack that weighs up to 2500 Lbs. The front cart has a tow bar and handle bar with floor brake. 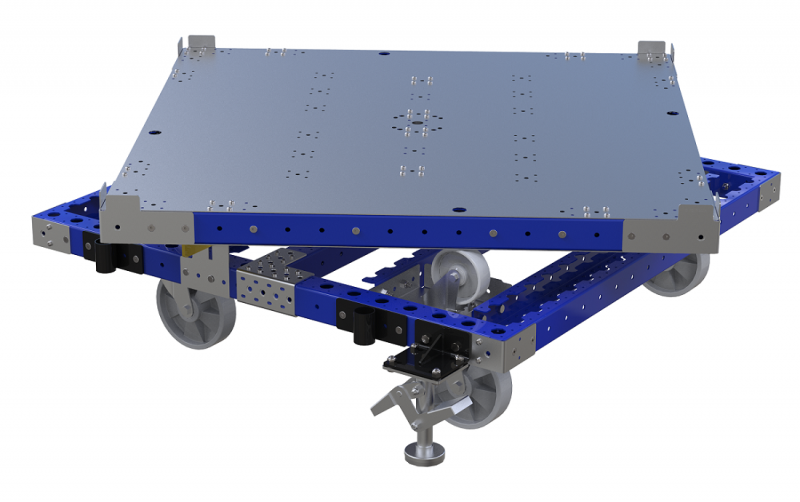 The carts have integrated casters to reduce the height and bring down the centre of gravity. 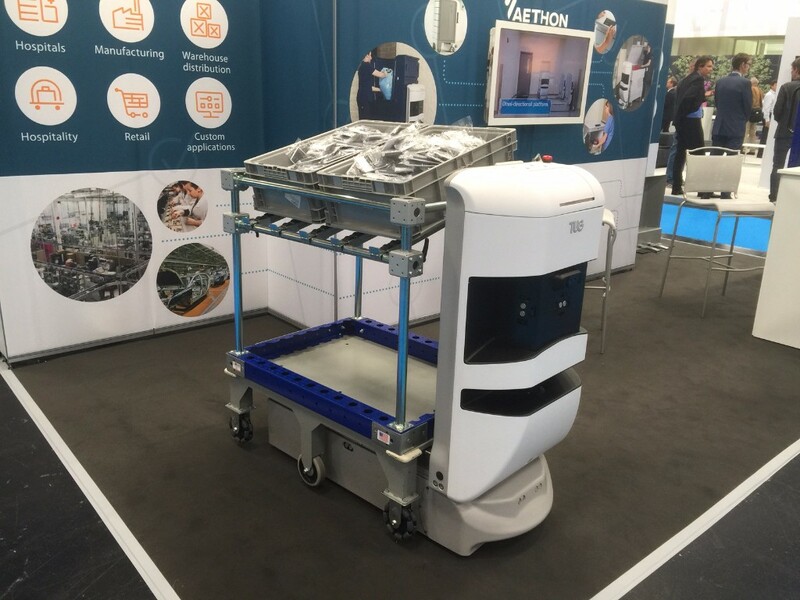 At the trade show in Munich this week we have showed a cart together with a tug robot from Aethon. Click on image below to see more of this application. Removable handle bar and floor brake included. Schedule a DesignOnDemand™ session with one of our design engineers and see your application evolve in real time excactly to your specifications. A quote will come shortly after the meeting. This is a lean process that saves time and money for both you and us. Contact us at [email protected] for a free session.